RUSH: Former president Obama — Oh! 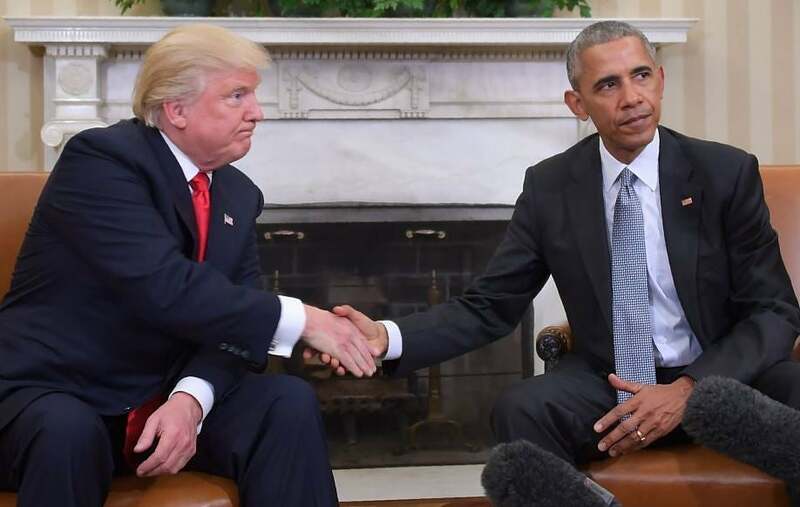 Do you know that there’s a biography coming out of Obama in which it is written that he once idolized Donald Trump and wanted to be Donald Trump? He wanted to be a hugely independently wealthy businessman. This is at the same time he was deciding maybe to go gay or not. (interruption) It was! You’re sitting in there laughing. I’m not making that up! You’ve not heard that? (interruption) He said he toyed with the idea, and the book also says he “cheated on Michelle” before they got married. How do you do that? How do you cheat on somebody before you get married? (interruption) Well, I guess. Anyway, did you see where Obama is meddling in a foreign election? Now, yesterday I… (chuckling) We had to listen again to this poor Comey guy. I’ve gotten so many different reactions to this guy in my email. People feel sorry for him for the dilemma that he has. “Oh, my God, what was he supposed to do?” Folks, there’s no dilemma here that he didn’t create! Whatever circumstance the FBI director is in, he put himself there with that July 5th press conference where he did two things. If you remember, he laid out the case against Hillary Clinton. He essentially said she’s guilty. And then in the end of his press conference, he said, “But, I don’t think she intended to do this and therefore there’s no threshold for charging her, and so we are closing the case.” You never do that! The FBI investigators, DOJ, you never, ever… He did things that never are done! You never go public with a case, number one. Particularly you never go public with a case that you’re not going to bring charges and close it, because what if something happens — and it did — that you have to reopen it? You know, Hillary focuses on that letter the 28th of October. That letter would have been unnecessary if Comey had not done the press conference on July 5th. But then none of this would have been necessary if Hillary hadn’t broken the law and set up her own email server, and forwarding email after email to Huma, who was forwarding them to her husband Weiner — Carlos Danger — to be printed out! If Hillary hadn’t done any of that — had she been a better candidate — it would all be academic. Comey is out there saying… And this is really way beyond the scope of an FBI director, of any investigator. This is… Testimony yesterday before the Senate Intelligence Committee: “Russia favored Trump because Putin hated Hillary Clinton.” (sigh) Where did that come up in an investigation? How in the hell did that come up? How do you ascertain that with ontological certitude, because it doesn’t make any sense! Putin would have wanted the floor mat, which would have been Hillary. Anyway, we’ve been through all of that. I thought that claim that Russia favored Trump because Putin… That just furthers this idiocy that Russians effected the outcome of the election! I mean, the election is three days from now, so that’d be Sunday. So the election here, folks… So Obama here with a last-minute intervention in the French election. This is not supposed to be kosher. We’re not supposed to be doing this! I mean, this is akin to what the Russians did. The Russians are trying to impact the outcome of our election; Obama’s trying to impact the outcome of the French election. But there doesn’t seem to be a whole lot of people upset.